Pink pickled turnips are a favourite ingredient in falafel wraps and mezze in the Middle East. 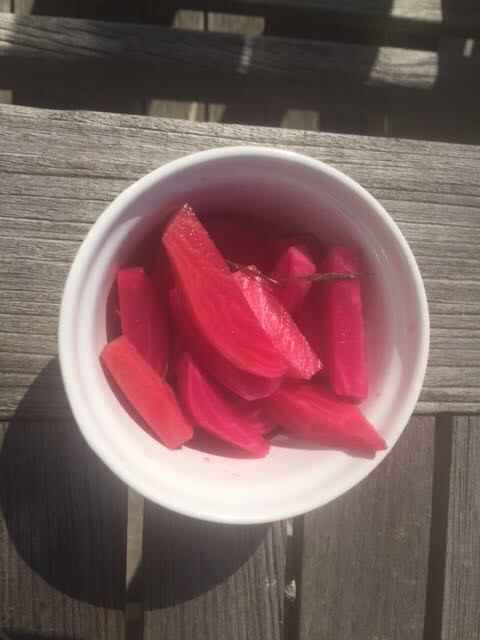 Pink pickled turnips – done!! 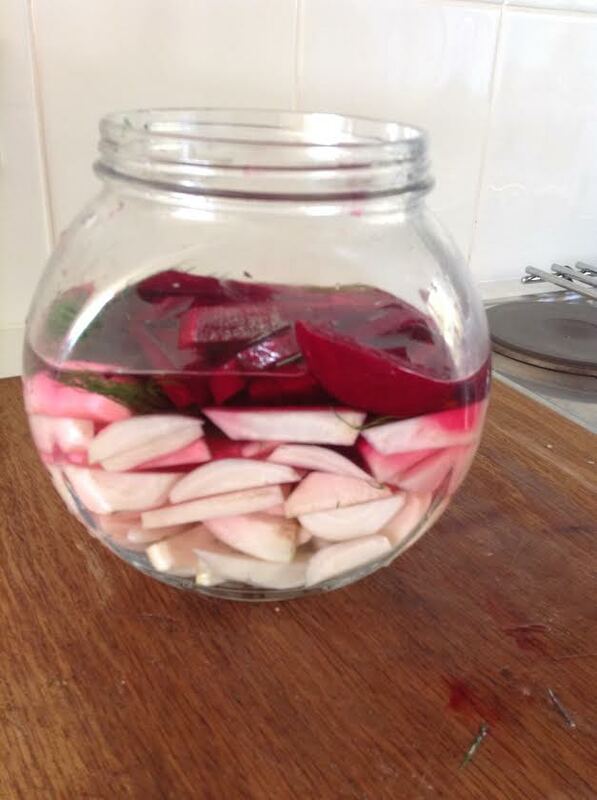 The science of making them is amazing – osmosis transfer of the colour from the beetroot to the white turnips. Peel the turnips and the beetroot to remove outside skin. Cut into 1 cm chip sized shapes. Put in a bowl and sprinkle over 1 tablespoon of salt. Leave for 15 minutes so that the turnips soften. 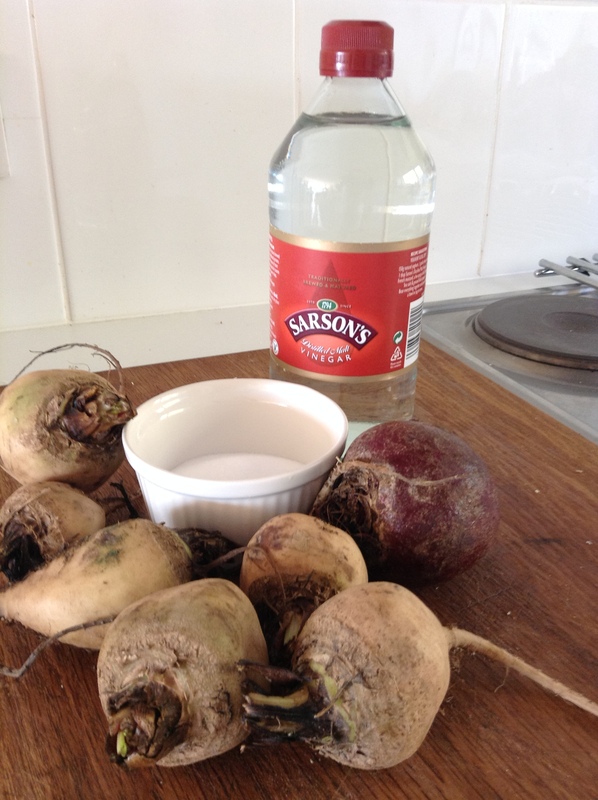 Place turnip chips into a glass jar and cover with the slices of beetroot. Pour over the vinegar mixture – you can add chilli for flavour. Cover and store for a week to allow the turnips have turned pink. Leave for longer and they will turn pinker. They can be stored for up to 6 weeks in the refrigerator. 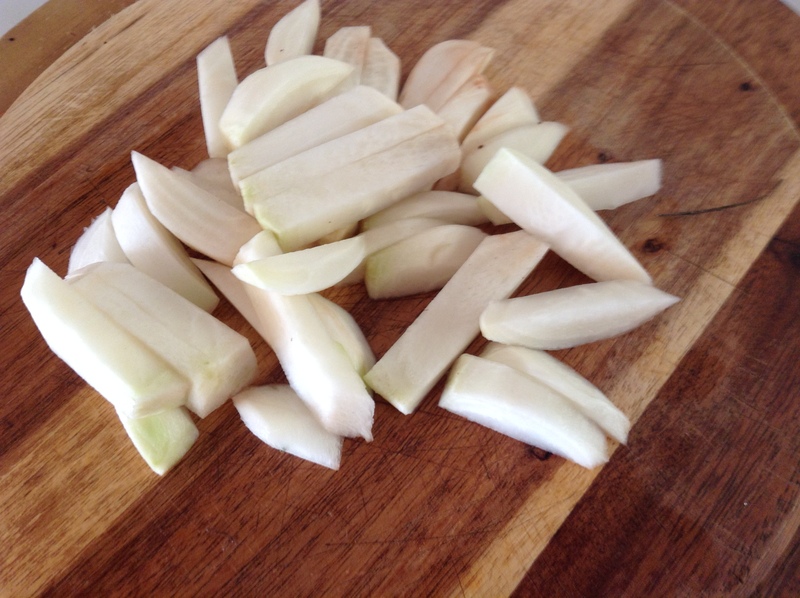 The pickled turnip strips can be used as dips for hummus or rolled up with falafel in pitta bread with some tahini dip. 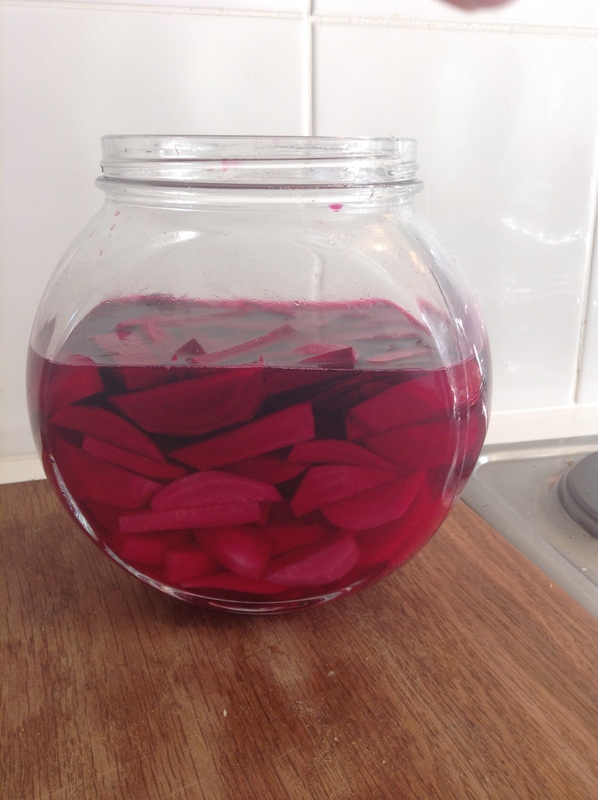 I like to remove the beetroot strips as they lose their colour in the pickling.